Some are waiting at Heaven’s Gate — Run! This is the second year I did not run four half-marathons during October with my church. We reluctantly ran two years in a row — I got sick during the third race the second year. I ended up staying sick most of that winter. The following year I had every intention of running, but chickened out because I did not think I could spend another winter laid up like that. Run for the Hills, 2011. My first half marathon. I cried when I finished and couldn’t eat a bite. I hope to get my courage back next year, even if I have to walk the entire 52.4 miles. In the meantime — please consider donating to one of the other runners. You can just scroll through the list of people and pick one or you can email me for suggestions. Know that the runners have given up Saturdays (for months) to train. Many began training last March. They have spent a decent amount of money on gear, anti-chaff cream, blister prevention, gels, shoes, and especially race fees. They nurse wounds. The soak and tape strained muscles. Some are insecure, wondering if they can finish the next two races. And they are only doing it so children across the world can be comforted in death… and some may have the chance to live. It doesn’t have to be much. The runners don’t see your individual amounts. But they do watch their totals. When my total amount increased — I would feel so energized. It would make all the money and sacrifice worth it to me. When Dottie Bledsoe turned 21, she quit smoking and took up running. Shortly after, she became a Christian and what started as an attempt at better health came to embody her relationship with the Lord. “It’s taught me so much about being a Christian…trials, persevering, enduring and all that stuff that comes along with running…has transferred into my walk as a believer,” said Bledsoe. “I was just not coordinated; I was always tall and skinny. And I just couldn’t figure my body out.” But since she discovered competing against herself, running became her sport. Eventually, she began running half marathons three or four times per year. In 2003 she tried her first full marathon but it was a nightmare “I was pregnant and didn’t know it,” said Bledsoe. Then she began to have babies and didn’t try a full marathon again for 10 years because of the time commitment training takes. The new little family began to support a child in India through the outreach of their church, Calvary Chapel Boise. In 2007, her husband, Steve Bledsoe, took a trip to serve and see the operation for himself. Already tenderhearted toward children, “They stole a piece of his heart,” Bledsoe remembers. The Bledsoes had regularly attended the church for approximately five years but, “We had no idea how much they did in India,” she said. Once they understood the scope of the ministry, the need, and the fact that all of the support for 10 Homes of Hope and more than 450 children came from their community—they wanted to be a bigger part. Shortly after, the Bledsoes attended a fundraiser for a family in the process of adopting a child from Hattie. The group had gathered to raise $3,000 and send a shipment of high protein meals to the orphanage where the family’s future daughter awaited the paperwork process. Bledsoe recalls the “grass roots” fundraiser in the backyard, complete with Haitian food and a silent auction of Haitian items. With about 40 people they met their goal that night. Four half-marathons in four weeks. The first year, her goals were simple: send out some letters, race 58.4 miles and hope for about five hundred dollars. A handful of her regular running partners committed to join her. 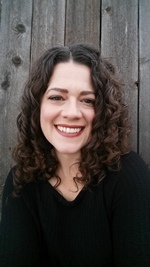 She spoke with Lauren Phillips, Administrator Calvary Chapel Boise International Outreaches. The timing was divine. Unable to ignore the need, Calvary Chapel Boise was just starting to take kids with AIDS. It was a step of faith for them, because of the intense requirements and sheer epidemic. And part of that plan was igniting in Bledsoe’s heart. “I knew that I wanted it to specially be for to the kids with AIDS.” So Bledsoe told Phillips, who came up with the name “Run 4 Heaven’s Gate” and placed a quick announcement in the following Sunday’s bulletin. That weekend the Bledsoes were out of town camping. When they returned to cell phone range several voicemails from eager participants waited. The new group began to meet for prayer. A total of eight sent out letters and ran “four in four” that year. And they raised more than $12,000. 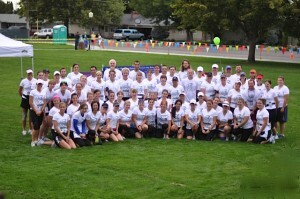 The Run 4 Heaven’s Gate team has swelled, and to date they’ve raised more than $369,000. If there is enough, Heaven’s Gate will take any child. “It doesn’t matter if they are very sick with AIDS or if they are just in the HIV stage,” she said, but admitted they do have to turn kids away when they don’t have the funds. Fortunately, the ones they take don’t just go to die—but to live. The first AIDS baby they took seven years ago is thriving with the nutrition and sanctuary she has been given. Caldwell says their goal is to “make this much more than your typical orphanage and to provide a real sense of family for each of these children who have seen so much death in their lives.” In order to do that, they invest one-hundred percent into the children’s lives, nourishing their spirit, soul and body. Basically, they create an environment where they feel loved. Organization, administration, printing the fundraising letters—every aspect is donated. 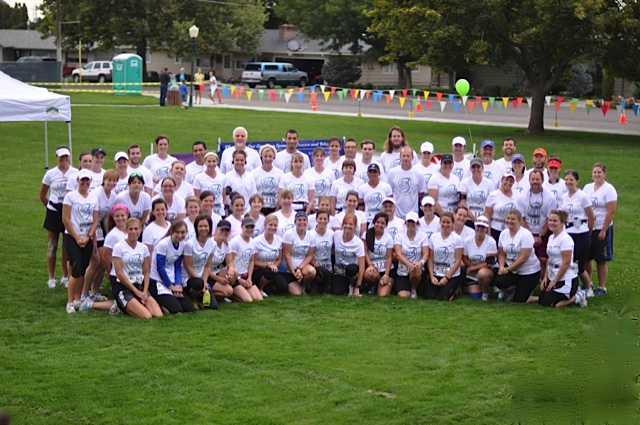 Even Shu’s Idaho Running Company supplies the matching race shirts printed with business-sponsor logos. And since runners buy their own equipment and pay their own race fees: every dollar that comes in is sent directly to India for food, medicine, housing, and schooling. “It funds everything really…for their lives,” said Bledsoe. She says, “Anybody could do this; it doesn’t have to be a church. It has to be one person who says ‘I want to do it, I want to make a difference.’” For the vision: she would love a person in another city or state to recreate the event in their area. Calvary Chapel Boise is already set up to provide graphics, donation letters and support to an individual who wants to facilitate a Heaven’s Gate Half Marathon fundraiser in another area and further the reach of their ministry. Pray for the kids in India, the runners and the sponsors. The races take place in October and training is about to begin. Find out more about the India outreach at sendhopenow.org/where-we-work/india. Sponsor a runner at run4heavensgate.org. Become a business sponsor and get your logo on the back of the runner’s shirts. Sign up to run or walk with them. Become a team leader and organize a group to participate. Inform your church about the ministry so they can bring a team. She feels that living in the United States gives her the opportunity to use those blessings, “to help other people who can’t help themselves.” She also believes that each one of us should have the same mindset that we are blessed beyond belief, living in a culture of extravagance—but God has us placed here for a purpose. CC Boise has opened 4 homes specifically for HIV/AIDS infected children with R4HG money and are reaching out to over 700 impoverished HIV/AIDS families in 10 Indian states with monthly nutritional and medicinal support. They also care for the sick and dying.